Once you’ve recorded a song, you need to mix it before sending it off to your mastering engineer. The thought of this overwhelms some people with dread, while others can’t wait to start mixing their tracks. Regardless of how you feel about mixing, you’re going to benefit from cutting your mixing time in half; it will allow you to produce more music! Over the years, I’ve refined my mixing process, finding new and creative ways to do more with less. The best way to mix your music faster is to work smarter, not harder. 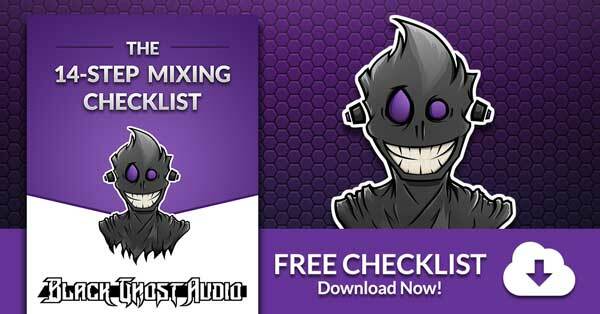 By implementing the 8 tips from this guide into your own mixing process, I’m confident that you’ll be able to drastically increase the speed at which you mix songs. “We’ll fix it in the mix” is a saying that’s like nails on a chalkboard to me. You’re able to fix a lot of things while mixing, but for the most part, it’s going to be easier just to record a few more takes until you capture the perfect guitar solo, or vocal. It may take a bit of work to get a great vocal performance, but spending another 10 minutes recording is a lot easier than spending an extra hour mixing. In some situations, you may be working with a great vocalist, but still shooting yourself in the foot. 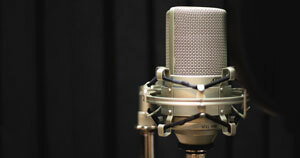 While recording, you have the opportunity to shape the tone of a vocal on the way into your DAW. By recording through a quality microphone, preamp, and compressor, you minimize the amount of mixing work you need to do down the road. If you use external hardware with your DAW already, then it’s just a matter of testing out a couple different microphones, preamps, and compressors to see which ones compliment your vocalist or instrumentalist the best. Don’t be afraid to spend a little bit of extra time really sculpting sound at a recording level. Tacking another 30 minutes onto a recording session to get the sound you want is fine and sets you up for success once you begin mixing. You may not own outboard gear, but that doesn’t need to stop you from baking processing into your recording; you just need to go about it a little differently. Set up a track in your DAW that’s strictly for recording. You can insert a preamp emulation and compressor on this track to color and tame the dynamic range of your input signal. By recording through this track and onto another track, you’re able to apply the processing to your input signal quickly, and save having to apply processing later on. If you own an Apollo x8 audio interface as I do, you’re able to make use of the onboard digital signal processing (DSP) and access Universal Audio’s UAD plugins. 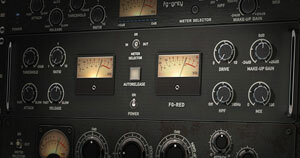 These plugins can be applied to your input signal before it even reaches your DAW, creating an even more streamlined recording process. Arguably the most essential item on this list, learning your mixing tools is going to drastically increase the rate at which you’re able to mix your music. The fundamental tools that you need to learn how to use are faders, EQs, compressors, saturators, delays, and reverbs. There are plenty of other unique processing tools out there, but 90% of the time, you’ll be able to complete an entire mix with these essential devices. “How to Mix Using Stock Ableton Effects” walks through all of these fundamental tools, and offers some great insight regardless of which DAW you use. 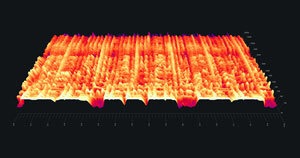 There are various articles on the Black Ghost Audio website that cover things like using pink noise to set track levels and 4 essential EQ techniques to get clean mixes. 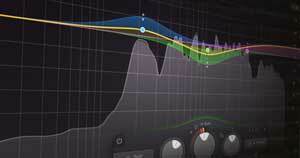 We’ve even created comprehensive guides on how to use compression and how to use reverb. A great way to go about learning how to use less common tools is by reading their user manual. I promise you, reading user manuals is not as dull as you may think. Often times, they’re packed with useful mixing tips, and they’re the quickest way to learn how to use new software and hardware. You’re better off learning how to use one EQ really well, rather than kind of knowing how to use 5 different EQs. I’m not trying to ignore the fact that certain devices (especially analog-modeled ones) have a unique sound, but that’s only going to make a difference if you can effectively manipulate your mixing tools. For example, the Waves PuigTec EQP-1A has a very abnormal user interface; the controls don’t work as you may expect. If you aren’t aquatinted with its layout, it’s going to take you quite a bit of time to dial in the sound you’re looking for. In a situation like this, you may just be better off reaching for a stock EQ. Pick one EQ, compressor, saturator, delay, and reverb that you’re going to learn inside and out. From there, you can expand your collection of mixing tools, while still having a reliable fallback to help you truck through projects when turnaround time is of importance. In Ableton, you’re able to tag plugins using different colors and add them to various collections. This feature allows you to group your mixing tools however you see fit, which significantly reduces the amount of time you need to spend looking for plugins in your main plugin folder. As your plugin library grows, being able to sort your plugins effectively becomes critical to a productive workflow. Another way to sort through plugins is by using your DAWs search bar function. If you ever watch live beat making competitions, you’ll see people smashing [CMD]+[F] in Ableton to access their search bar and then furiously type in the name of a device. This is probably the fastest way to find the plugin you’re looking for, but the method that requires the most work as well. Mixing with a reference track is critical to ensure that you aren’t entirely missing the mark with your mix. As soon as the song you’re working on starts to come together, and you get to the point where you’re finally beginning to dial in track levels, you should pull a reference track into your DAW. Ideally, you want to compare your mix to songs that aren’t mastered yet. Comparing your mix to music that’s already mastered is difficult because a mastered song is often going to be much more compressed than your mix. F9 Audio has created some pre-mastered reference files four House music that you can download here. By searching around online, you should be able to find pre-mastered reference tracks for whichever genre of music you produce. Another great resource is The ‘Mixing Secrets’ Free Multitrack Download Library, which contains various unmixed, unmastered, and copyright free songs that are perfect for practicing mixing and mastering with. ADPTR AUDIO MetricAB is a plugin that allows you to quickly A/B your mix with a reference track. You apply it to your master buss, post-processing, and then load up to 16 reference tracks into the plugin. It contains vital A/B features like auto gain matching, and various displays like a spectrum analyzer, phase correlation meter, stereo imager, dynamics meter, and loudness meter that allow you to overlay the data from your mix with the data from the reference track. If you’re not using mixing templates and presets, you’re wasting a considerable amount of time. 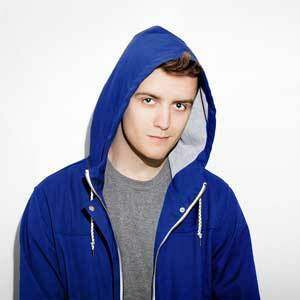 Not every mix is executed in the same way, but songs within certain genres are usually quite similar. I use a general purpose mixing template for Ableton since the type of work I do for clients spans across the board. If you make Pop, Hip-Hop, or EDM, you can create a mixing template specifically genres that you frequently work in. You can download some of my free Ableton templates here. I’m an absolute preset fiend, especially when it comes to applying creative mix processing. Devices like delays, reverb, movement effects, and distortion effects frequently provide interesting results when you load their presets. Creating with intention is great, but happy accidents can turn a good mix into a great mix. 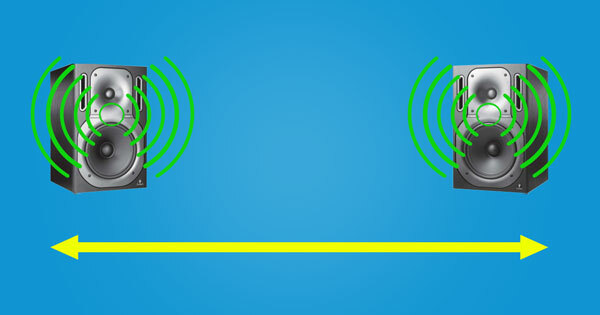 Once you’ve spent a certain amount of time critically listening to audio, your ears get tired. 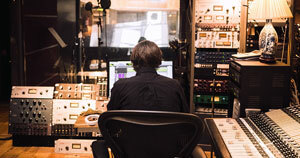 Making accurate mixing decisions becomes more difficult, and you start to overlook issues. You may even trick yourself into thinking that problems exist when nothing is wrong. Make a point to take a 15-minute break every 45 minutes. Air traffic controllers and lifeguards both take plenty of breaks throughout the day because their jobs require a substantial amount of focus. It’s not possible to stay completely focused for 8 hours, or even 4 hours. Mixing your music requires a considerable amount of mental energy, and it’s draining, almost in the same way that physical exercise is. Stand up out of your chair and take your dog outside. Walk to your street corner and order some tacos from a food truck that’s clearly violating health codes. Stare at a wall for 15 minutes. It doesn’t really matter what you do, as long as you give your ears a little bit of time to recuperate. 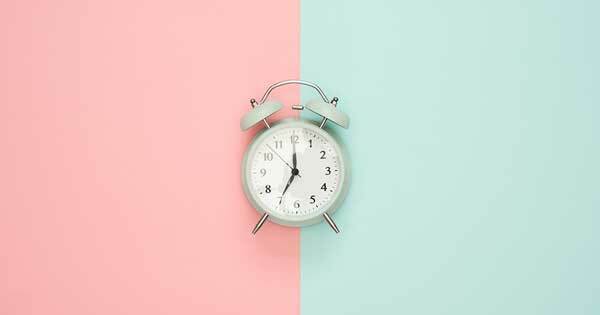 I can almost guarantee that you’ll be much more productive working for two shorter 45-minute sessions, than one long 2-hour session. At the very least, you’ll feel much more relaxed and clear-headed. Keyboard shortcuts can take a while to memorize, and macros may prove slightly challenging to set up, but they’ll save you a lot of time in the long run. 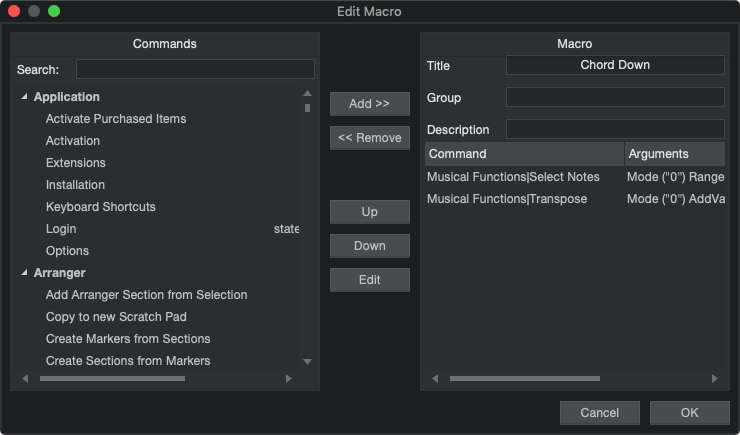 The user manual of your DAW will contain all of the shortcuts, and some DAWs allow you to set up macros internally. You can also use a couple tools to help integrate keyboard shortcuts and macros into your workflow. Keyboard covers prevent dust from getting in between the keys of your keyboard, and some even have key commands printed on them. This allows you to quickly reference shortcuts without having to bust open a list of key commands on your computer. I’ve written about branding key commands to a Razer Naga Chroma Mouse before. This mouse is perfect for key binds because it has 12 buttons that can be bound under your thumb, and even more between your index and middle finger. Using Razer’s Synapse software, you’re able to customize the key binds assigned to each button however you like. Being able to set up macros is a feature that’s only found in some DAWs. 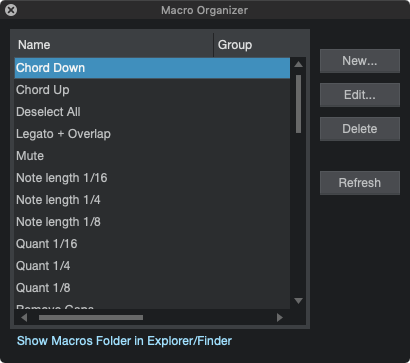 Studio One has a simple-to-use Macro Organizer that makes it easy to add and edit macros. Macros differ from key commands since they can perform multiple commands at once, whereas key commands only perform one command at a time. Once you’ve opened up the Edit Macro window in Studio One, search for the command you want to use and click “Add >>” introduce it to the chain of commands that the macro will perform when triggered. The macro you create can then be assigned to a key command. Depending on how inventive you get with macros, you can perform extremely time consuming and complex tasks with just a single keystroke. The following video by Virtual Mix Studio does a great job of demonstrating how macros work by setting up a cute and mute macro in Studio One. I want to invite you to join me in the Black Ghost Audio group on Facebook; it's full of producers currently working in the music industry who are more than happy to help you improve your productions. Leave a comment below if you have any questions regarding this article. Your feedback is always appreciated, and we'll take it into account when we publish future articles. The one and the only way that you’re going to be able to increase the perceived loudness of your track is by reducing its overall dynamic range. This means that the difference between the loudest elements and quietest elements needs to be reduced. EQs are used to control the gain level of different frequency ranges, known as bands; applying boosts/cuts to these bands allows you to shape the frequency response of your audio. An EQ is a vital mixing tool because it will enable you to fit together the different elements of your mix like puzzle pieces. What exactly is a wide mix, and what are the advantages/disadvantages of one? It seems like creating a wide mix is a good thing, but is it? I’ll be discussing these questions in more detail and providing you with six different tips for successfully creating wide stereo mixes that thunder out of both stereo and mono playback systems.